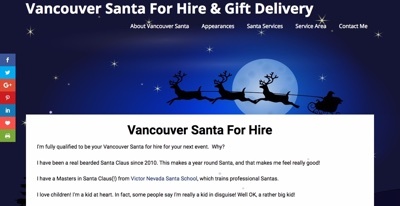 New website design for Vancouver-Santa.com. Updated it to a modern, professional design that funnels to call to action that converts. See how it was done.